Initial planned to stay for 1 night, end up extend another nights caused was given upgraded Kings Deluxe room. Is a brand new building, but warms welcome by the staffs. About 100-200m from waterfronts but everthing you need right around the corner. Recommend for those looking a new hotel enviroment. Stayed here for few days. The very strategic & near to the seaport for island Hopping. It is also walking distance to street food & local food. Excellent location. The room was excellent & nice. Fits my group. I love the breakfast buffet. So lavish & lots of choices. . Tips: Should try the Oxtail signature dish. We’ve stayed here for four days and a half. The rooms are clean and the cleaning staff are on time. Their breakfast has a lot of variety, being there for 4 breakfasts didn’t bore us. Room not smelly - smell fresh. Love the shower. Sink & shower not stuck. Water flows out well. Very informative & efficient staff. Didnt need to wait long to register. Willing to give more than 1 door cards - there were 4 of us. Love the king size bed. Price ok la... Location very good but sometimes parking is difficult. Came back late after dinner but hotel parking was closed. Love the 25th floor view & the pool. good location, nice staff and good service. room was clean, facilities good, staffs very friendly, breakfast good. Pros: 1) not regret to stay here 2) friendly and tolerate staffs 3) easy accessway to Imago Shopping Complex Cons: 1) lack parking space only 1st come 1st serve basis 2) 1 of the rooms have a strong cigar smell including the alley. The hotel enviroment was good. Reception was fast. Room was clean and really comfortable. Been there twice and both time was really interesting. Too great to say about this hotel, from the staff to the room. Staff is polite, room is considered big for a single person, service is great, even though 1 person they do transfer customer to airport. 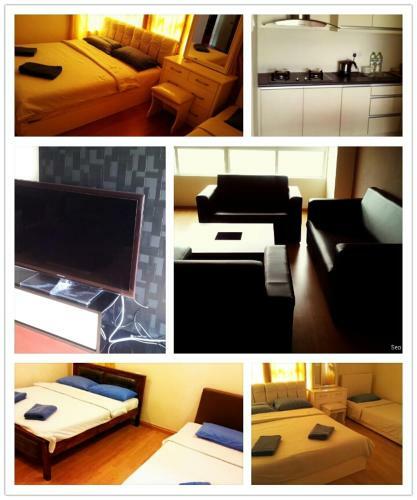 Very good location, room so comfort & big space (toilet) . Very close to Imago Shopping Mall, 7eleven & got restaurant mamak nearby. Our favourite food, supernice!our first choice hotel afterall..
a little problem with wifi facilities . but overall kinda good and nice . there are many banks surrounded by the hotel . it makes us easier when we are out of cash . i love to stay there . if i want to travel at kk again . i will check in direct at this hotel . overall, thank you very much for the best service ever . strategic location. is walking dustance to famous local food shop. Its clear and staff very friendly. nice hotel and love it so much. will come again. Room is clean and comfortable. Hotel is near to many facilities and quaint shops. It is within walking distance to the jetty and Filipino market. Only 15 mins away from kk airport. The only improvement needed is the breakfast as the choices of food are few. Everything was good on our stay. Food were generous. The only thing is, please put a feet towel in room. It getting wet and slippery after using the toilet. As capital of Sabah, Kota Kinabalu has a great mix of sightseeing and commercial attractions. Most of the action centers on the Segama Waterfront along Jalan Tun Fuad Stephen. This is where Sword Fish Monument, Wisma Sabah & Gaya Centre and Wisma Merdeka operate. South along the Waterfront toward the post office is a prominent shopping district where Central Market and KK Plaza are located. The Night Market and Gaya Street Sunday Market are even better places for guests of hotels in Kota Kinabalu to go shopping. 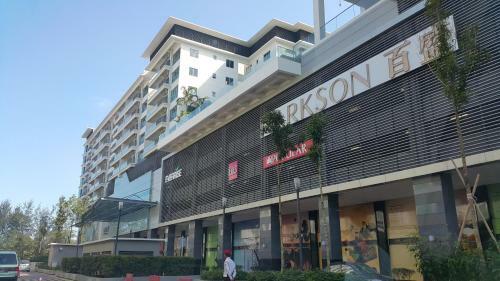 Flanking hotels in this area are Wawasan Plaza, Api Api Centre, Asia City Complex and Star City Mall. All of these are close to the Kota Kinabalu Bus Terminal. The city is also full of museums that explore the history of Borneo, both as a sultanate and a British interest. These offer insight into the island’s Islamic heritage and the exotic cultures of the indigenous tribes who live in the interior. While most of the hotels and attractions are planted on the Kota Kinabalu City Waterfront, there are a few inland attractions like the Istana Negeri (state palace), the bird sanctuary and Signal Hill Observatory that are worth seeing. The other major attractions off the waterfront are Sabah Golf and Country Club and Sutera Harbour Golf Club. The latter is near Kota Kinabalu Time Square and the Police Headquarters, where some of the best upscale accommodation in Kota Kinabalu is found.